The closest we had ever been with a saint... Pope John Paul II. 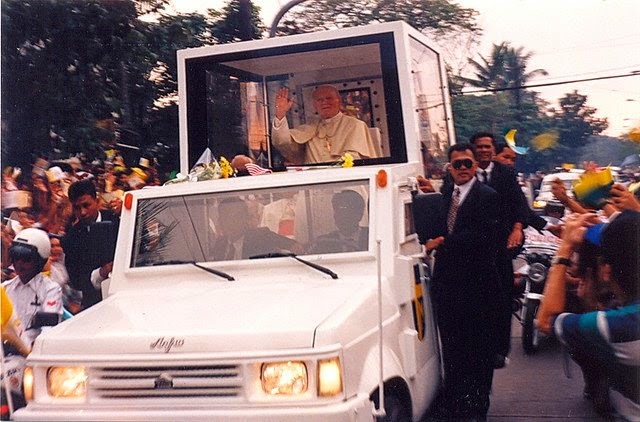 Taken during the 1995 World Youth Day in Manila. I was just 16 years old back then.